Most of the expenses in April is for the 5 night stay at doggie daycare while we traveled to Hawaii. We don't have family around us and most of our friends don't have any experience with dogs, so whenever we travel, we need to budget for this extra expense. This is something we knew before getting Maya, but just wish we could find some cheaper options. This month we spent a bit more on food. 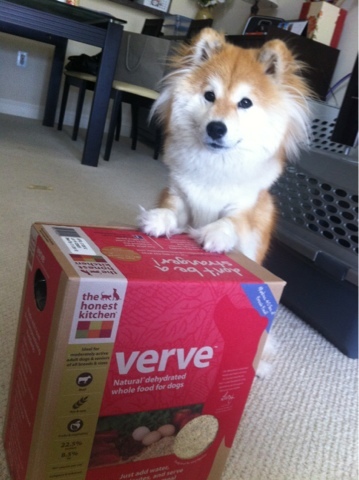 We got a big box of THK Verve and stocked up on fish, beef liver, beef pancreas, and green tripe. We got a bag of pill pockets that we left with the doggie daycare so they can give Maya her meds without trouble. 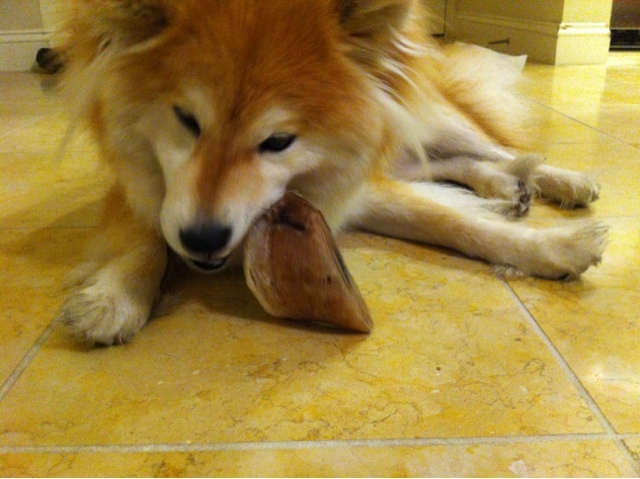 She also got a bag of cow hooves when I picked up the green tripe. 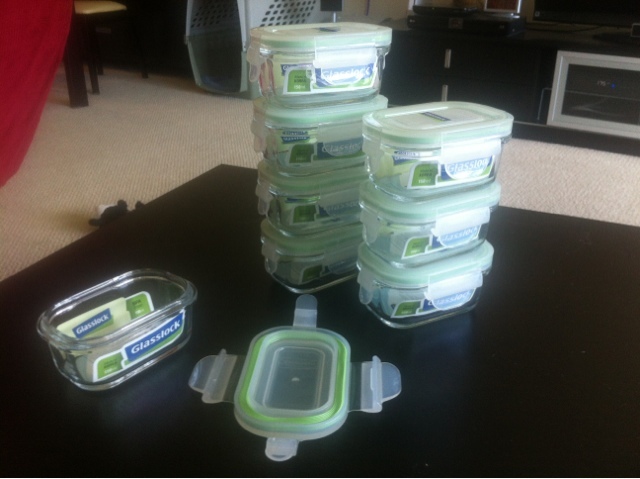 I got a bunch of glass food storage boxes, which helped make preparing Maya's meals much easier. Those glass things are spiffy! I need to get some glass storage containers. The plastic kind are okay, but I have a tendency to forget they are plastic, and I cook with hot liquids that I kinda just dump into the tupperwares which results in... melted tupperwares. 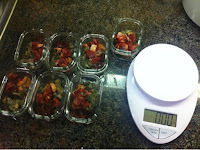 Yap, that's why I love those containers and use bigger ones to store my own food as well. I can dump food right from the pot into them without having to worry about melting anything. They are also microwave, freezer and dishwasher safe. Completely honest offer: I would love to help look after Maya -- IF she and Bowdu got along, and you felt comfortable with it. ;) Unfortunately, Bowdu is a bit of a jerk and needs his introductions managed very, very carefully on his home turf. Since I also aspire to open up our home to fosters sometime within his lifetime, it's something that I am learning to handle. And Bowpi gets along with everyone! BTW, we may very well be able to come to the next Shiba meetup, since I found out my other scheduled event doesn't overlap, time-wise. So we'll see! That is really really really nice of you! It'll be great if they get along well. I'll definitely keep that in mind if we need to leave town again (probably not in the near future). It'll be awesome if you guys can come to the meetup. Would love to meet you and the Bows. We've introduced about 5.5 dogs to Bowdu on "his" territory, with varying levels of success (the half a dog was a neighborhood stray that came up to the porch and sniffed through the security door, but did not come inside). I definitely learned what sets Bowdu off, and that you can never take an introduction *too* slow!